Pomona. In The Orchard With Arthur Rackham. 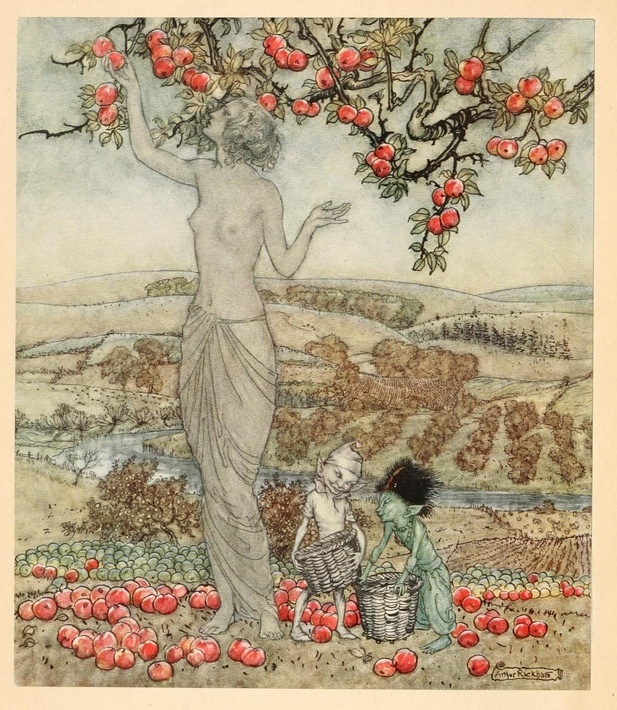 A Dish of Apples by Eden Phillpotts, with illustrations by Arthur Rackham, Hodder & Stoughton, 1921.